Six out of eight puppies taken by dogsnappers who held a knife to a pregnant mum’s stomach have died. 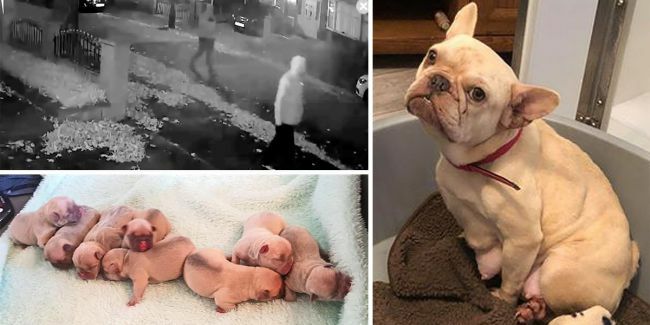 Only two of the stolen French bulldog have been reunited with their mother after thieves attacked Leeanne Corbett, 26, at her home in Stretford, on Tuesday night, Greater Manchester Police said. GMP said in a statement on Friday: ‘This afternoon two puppies who were part of a litter stolen in an armed robbery in Stretford have been reunited with their mother.